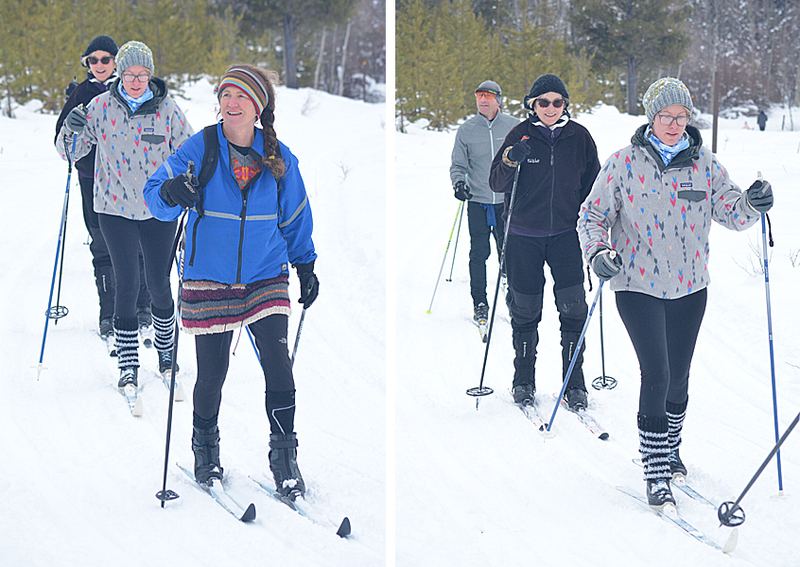 Once again our annual get-together at the ski trails was a great success. Scroll down to see photos from this event. 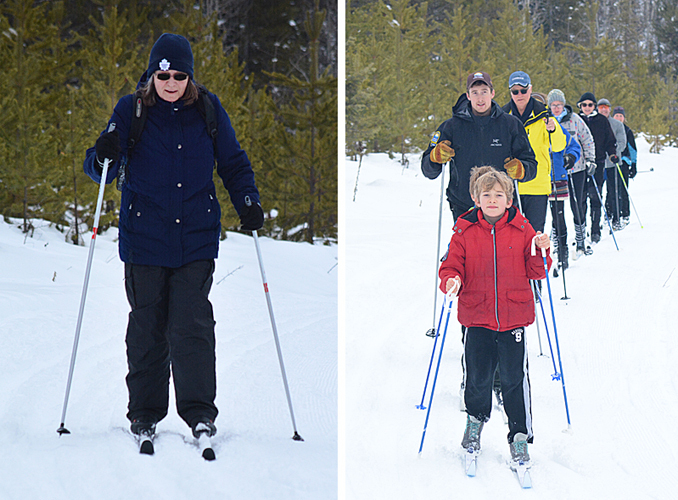 Thanks to Cole Wagner of the Merritt herald for sharing his photos. Heading out to enjoy the groomed trails on Chili Sunday 2018. Photos courtesy Cole Wagner (Merritt Herald). 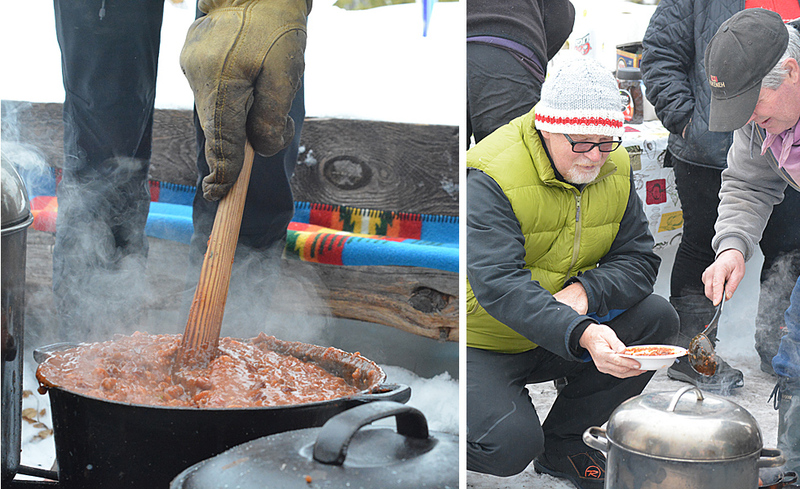 The P2 shelter was the focus of Chili Sunday 2018. Photo courtesy Cole Wagner (Merritt Herald). Get them started at a young age! Photos courtesy Cole Wagner (Merritt Herald). 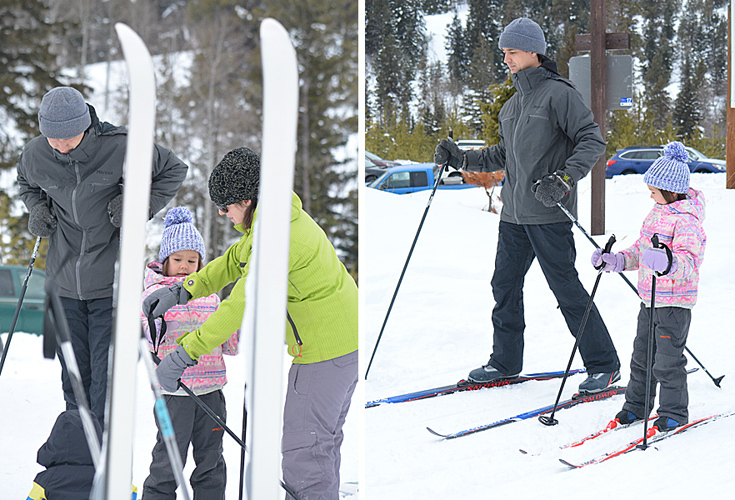 Enjoying great snow conditions on the Kane Valley trails. Photo courtesy Cole Wagner (Merritt Herald). 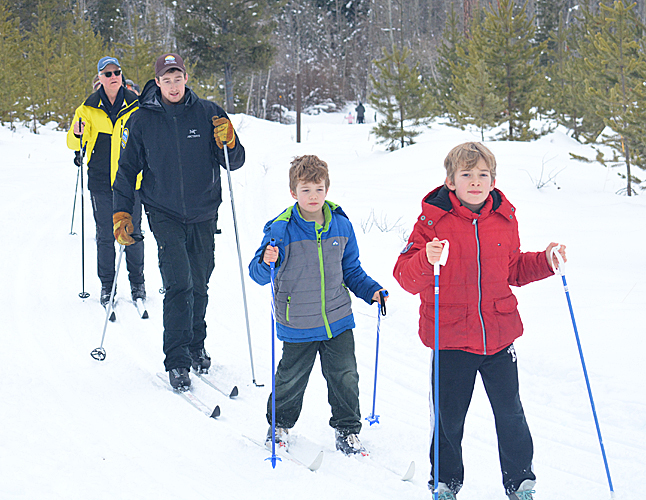 Skiers of all ages enjoy the ski trails. Photos courtesy Cole Wagner (Merritt Herald). Action at the chili pot! Photos courtesy Cole Wagner (Merritt Herald). 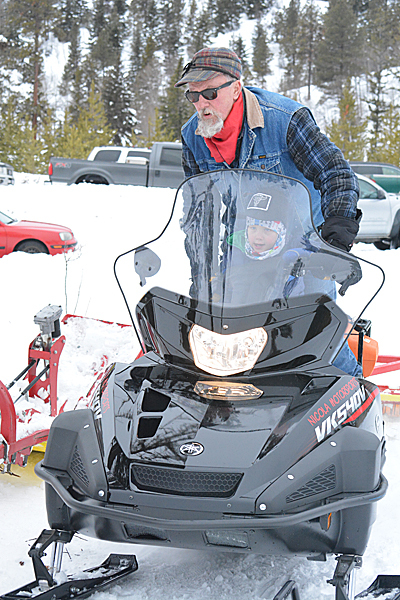 Mike steers the club’s brand-new snowmachine – with the help of a junior club member. Photo courtesy Cole Wagner (Merritt Herald). 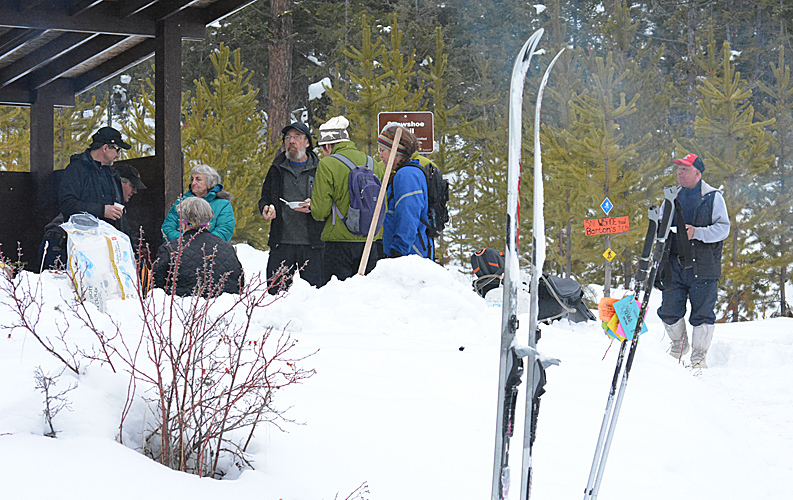 Mike went to check trail conditions this morning and spoke to several skiers that liked the skiing today and thought it was best to leave it as is and not groom, as the new snow made the skiing better; grooming may make it icy. So it is good, so come out skiing.